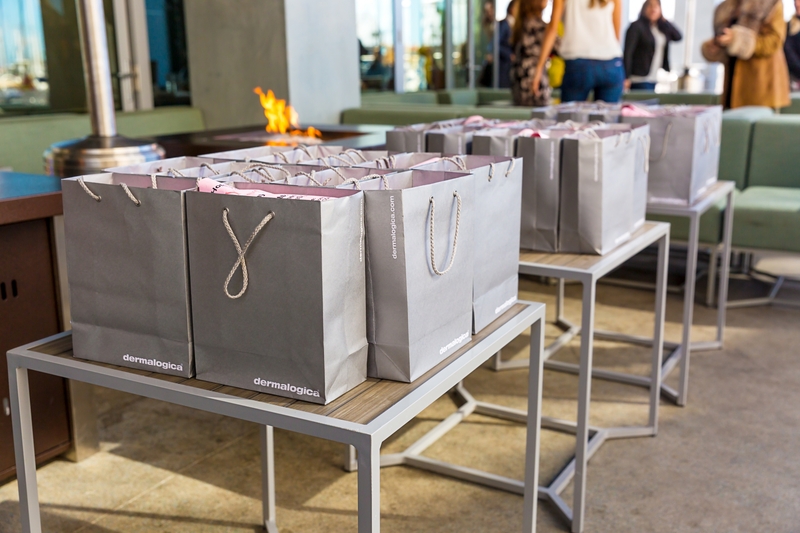 This past weekend, I had the pleasure of attending the first Style Collective event in Southern California which took place in the beautiful Shade Hotel Redondo Beach! Set along the waterfront, this brand new property captures the essence of the South bay vibe. 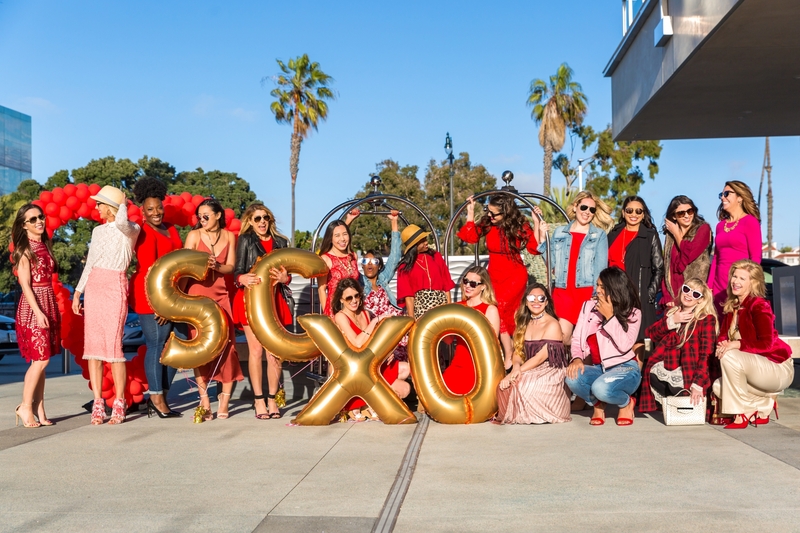 When my gorgeous blogger bestie, Amber from Amber Nicole Fashion and I arrived at the event, we were immediately greeted by our beautiful Style Collective sisters who were all decked out in various shades of red and pink to celebrate Galentine’s Day with a splash! The Shade made us feel so welcomed and pampered us with a delicious dining experience overlooking the scenic waterfront. The Sea Level Restaurant is filled with comfy sofas and fire pits and it wasn’t long before the sofas were overflowing with colorful fashion bloggers excitedly chattering away. We laughed and we toasted as we began forming new connections, sharing our fashion blogging and life journeys together. 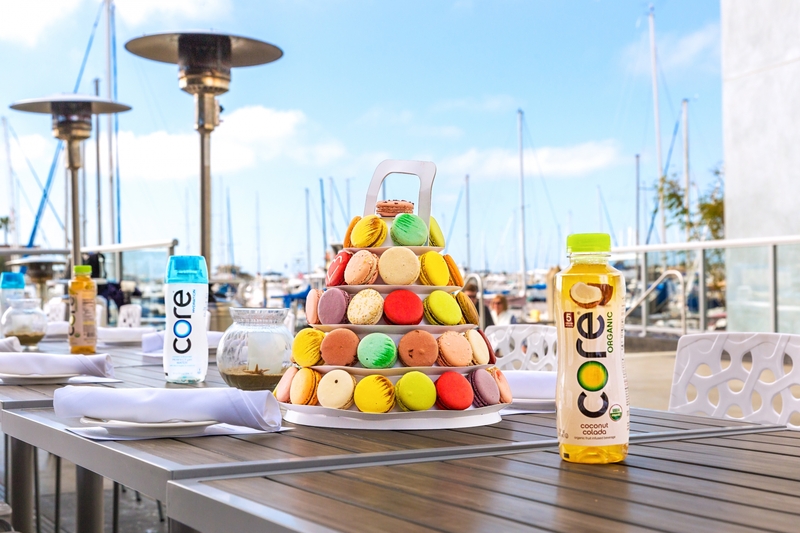 The precious centerpieces were handmade for us by a fabulous company called, Lette Macarons. These special trees were made of the lightest and tastiest macaroons I’ve ever tried. In the most vivid colors representative of the holiday, they definitely set the tone for a festive afternoon. Each tasty creation is hand made with tender loving care. These special cookies will delight your taste buds as each design has it’s own unique flavor and personality. It was a wonderful afternoon of cocktails, conversation and connection. In true fashion blogger style, we capped the day off with a super fun photo shoot with gorgeous gold letter balloons spelling out “Style Collective” as well as a cute heart-shaped balloon design all thanks to Balloon Celebrations. Living at the beach, the blustery winds can prove quite a challenge but we managed to get some amazing pictures! 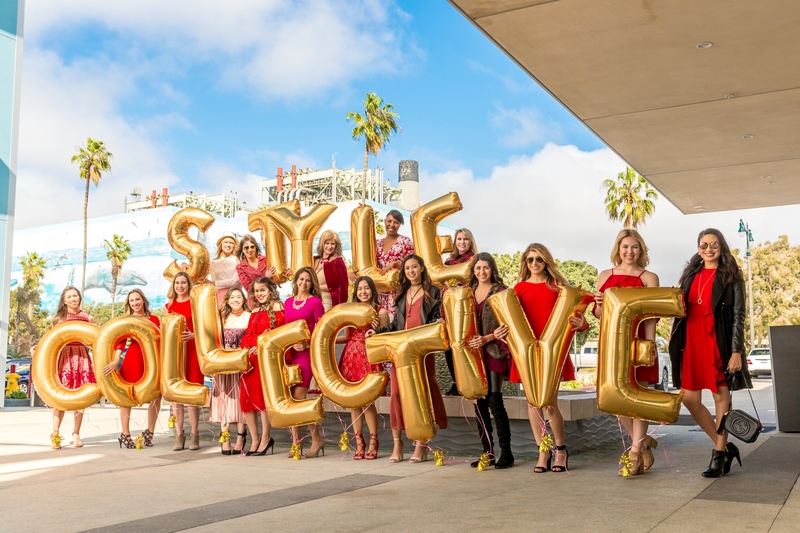 I’m pretty sure I’m speaking for the SoCal Style Collective sisters when I say that joining Annie Spano and The Style Collective is one of the best decisions I have ever made. 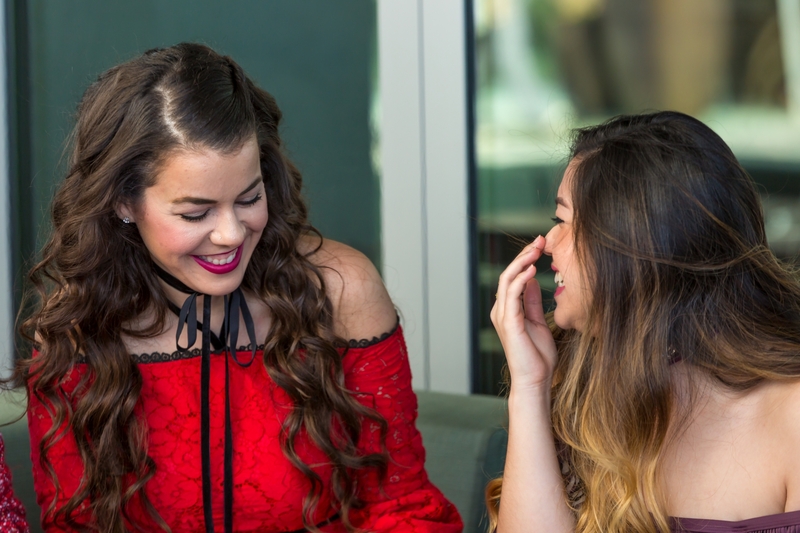 As #GirlBosses, we’ve developed a bond like no other united in bringing beauty to the world and to one another. Fashion is a powerful medium and we are delighted to be on this journey together. Thank you to our stylish SC Sisters from Southern California for such an amazing Galentine’s Day event!